Santa Clara invites you to make yourself at home and stay the night with us! We have a variety of hotels that will fit every personality and into any budget. The varying locations across the city offer guests multiple options for convenience. 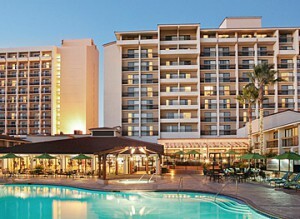 Click “Check Hotel Rates & Availability” above to view Santa Clara lodging and hotel information online. The city has over 3,800 rooms available. While researching hotels in Silicon Valley, don’t forget to check out these Great America Weekend Packages! Packages to California’s Great America theme park, open seasonally March – October, range from $169.00 – $299.00. Find great rates on Santa Clara lodging for your next visit.